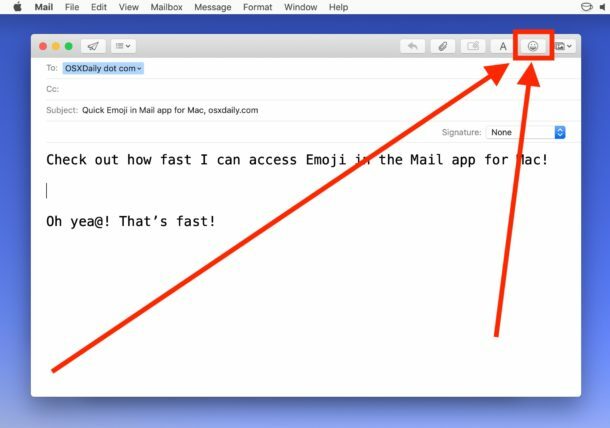 Is this valid for Mail 11.5 in High Sierra 10.13.6 ? I don’t have an Emoji button, nor is there an option for one when Customizing the header. View > Customise Toolbar > “Drag your favourite items into the toolbar…” dropdown menu. I am running OS 10.13.6 and all my apps are up to date – help please! What are we cave dwellers, if you have something to say, use words not pictures. IMO emojis are the most annoying way to communicate. icon in toolbar is unavailable in High Sierra so I suppose you are referring to 10.14 OS. Can find no way to display the icon but of course, the keyboard shortcut does work. 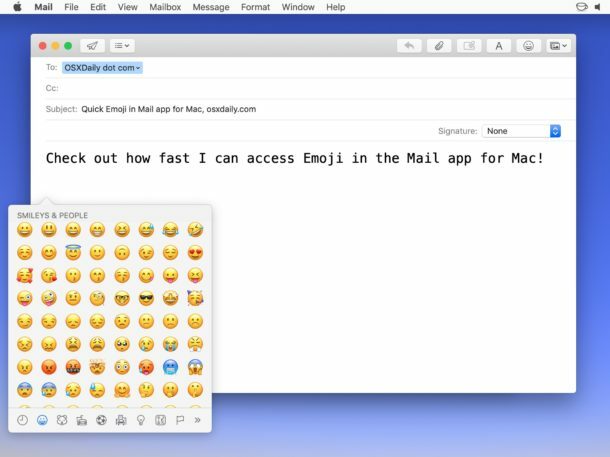 You can also try Emojise for macOS for fast emoji control on your Mac. 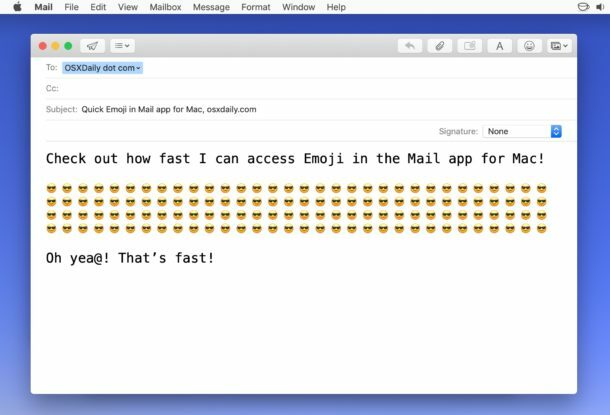 With emoji phrases, you can rapidly insert your group of emojis in your emails and other text. It is available on Mac App Store. Remember when they were called emoticons? I have upgraded to Mojave 10.14.3, used to be able to insert emojis from Edit in toolbar, but now there’s no reaction. the same with the emoji icon in the message toolbar even though it looks active. Btw, not all of the icons on that toolbar are active.